When many of us think about Jamaica, we think about listening to reggae music while laying on the beach, with a fruity, tropical drink in hand, staying in an all-inclusive resort, enjoying the amenities and eating everything. But Jamaica offers so much more! 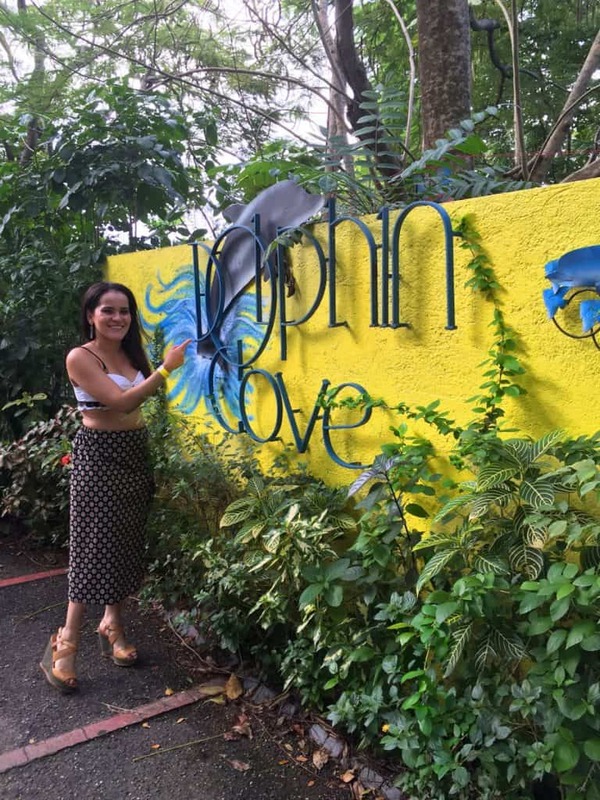 You can discover Jamaica’s unique adventures, sightseeing, sunny beaches, history of rum, culture and historical museums experienced on my recent visit. If your bucket list includes amazing food, music, and adventurous activities that will get your heart racing and remind you how good it is to be alive, then a road trip full of energy and joy in Jamaica is a must do for you. 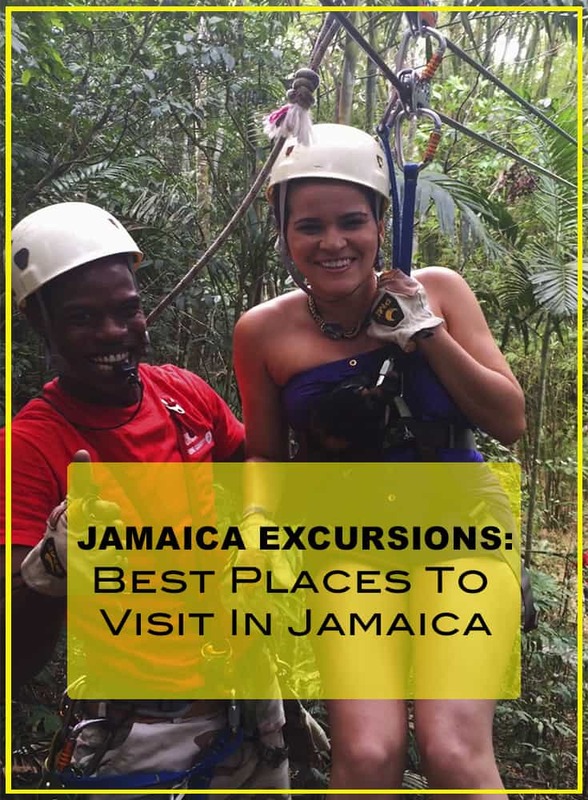 Here is a list of Jamaica excursions, activities and attractions on some of the best places to visit in Jamaica! Start by visiting the city of Kingston. Although Kingston is a busy cosmopolitan city weekdays, crowded with lots of businessmen, it offers a wealth of sightseeing opportunities. 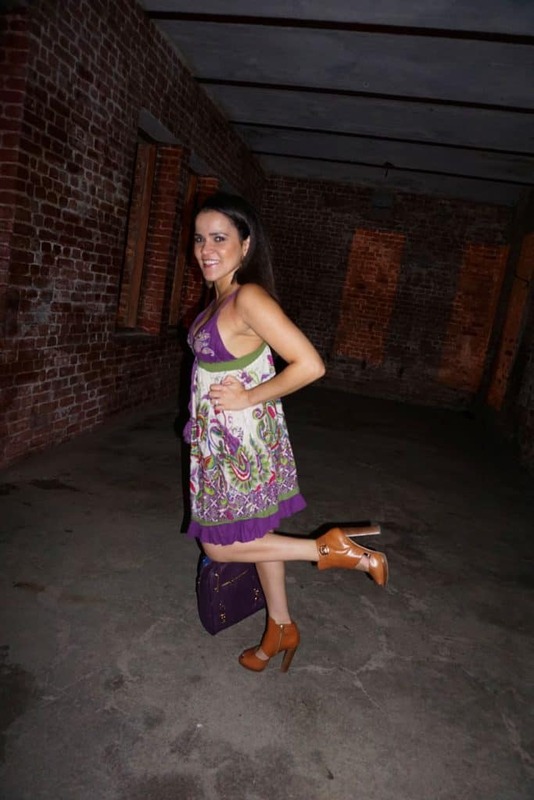 Here are my top, must do’s that I’ve had the pleasure of crossing off of my bucket list. 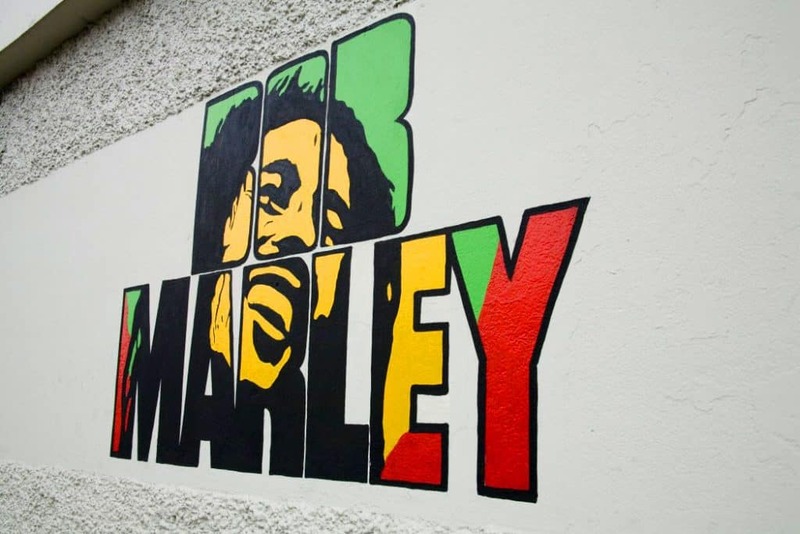 A visit to Kingston must include the Bob Marley Museum, especially if you are a big fan of reggae music. 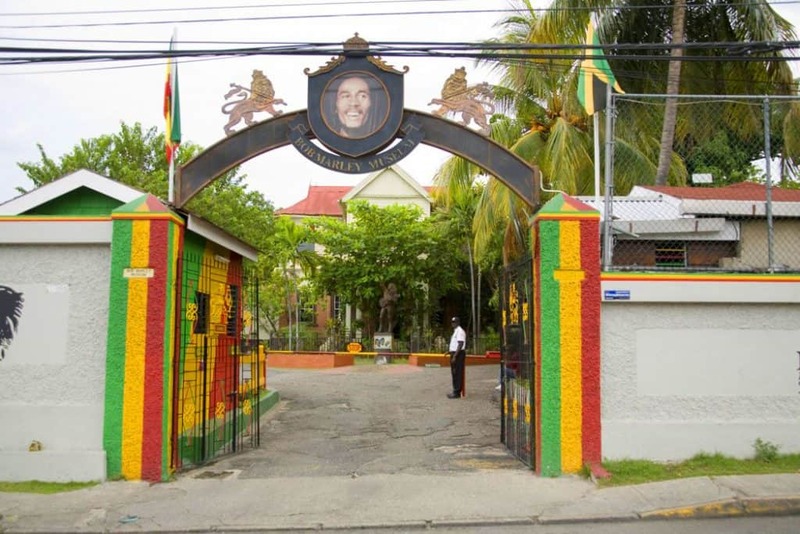 The Bob Marley Museum is housed in the legend’s home, which later served as his studio. Here you will discover a new found respect and understanding of this famous musician. 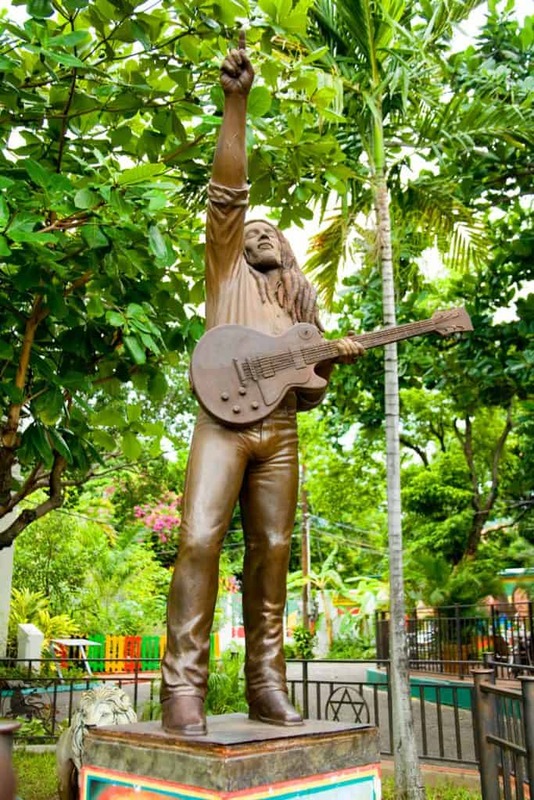 Located in the heart of Kingston, and conveniently around the corner from the Bob Marley Museum, this stunning heritage site is one of Jamaica’s most celebrated historical landmarks. Devon House sits quietly in striking contrast to the hustle and bustle of the city, allowing you to appreciate the culture that existed during the late 1800s. The mansion is the architectural dream of Jamaica’s first black millionaire, George Stiebel, constructed during the late 19th century. 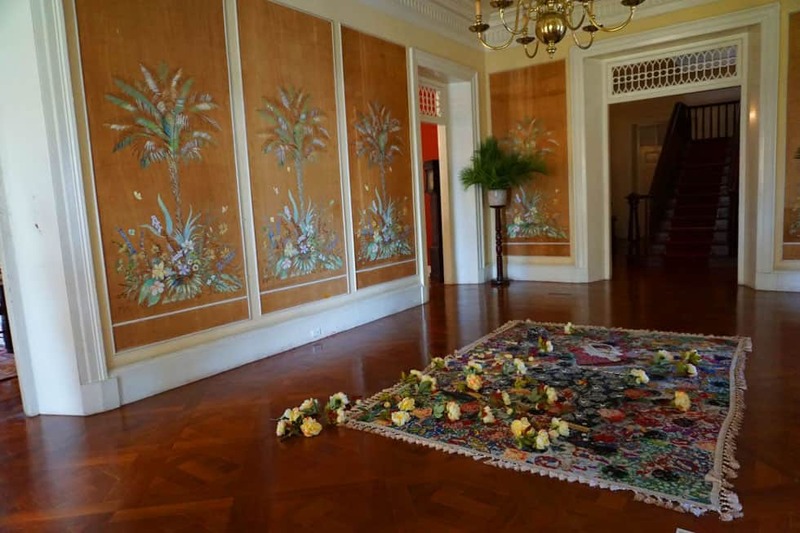 Furnished with a collection of Jamaican, Caribbean, English and French antiques, the Devon House is also home to an extensive collection of Jamaican art. Shops onsite contain locally-made art, cigars, preserves, spices, and coffee. 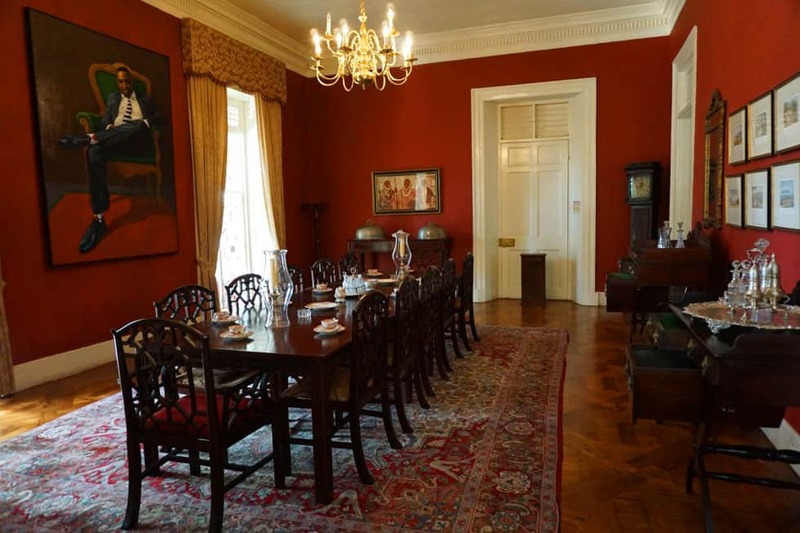 Guided, one-hour tours of the house are held regularly throughout the day. The tour guides represent their culture and history through their traditional dress and a short performance that includes singing traditional African-influenced songs and dance. Lunch at Devon House is most recommended. I stopped at the Grogg Shoppe and found that the highlight of their menu is the curry goat-a must try. Although slightly hesitant at first, after one bite I was delighted. 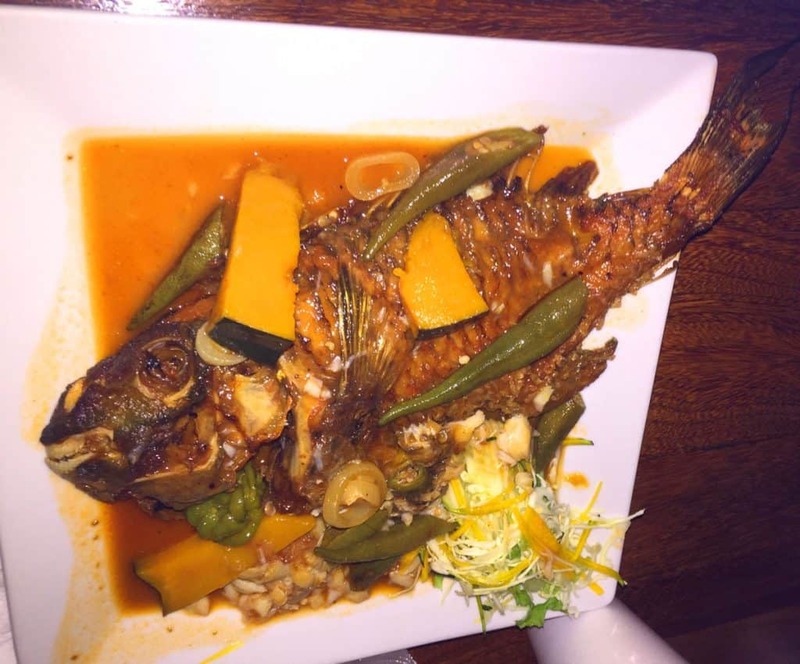 It’s served with a side of bread fruit, rice and beans and salad. Are you hungry yet? Well, save room for dessert because an ice cream cone at the famous Devon House’s “I Scream” is not to be missed! A household name across Jamaica, the ice cream shop sells more than 27 flavors. Fan favorites include mango, sorrel, rum raisin and Bordeaux cherry, rocky rivers, devon stout and sour sop. Be warned that portion sizes are more than generous; my two scoops selection resembled about six scoops and I struggled to devour it before it melted. A more relaxing experience, can be found at the neighboring Blue Mountains just a short drive away in Irish Town and I totally recommend all to experience this coffee tour. 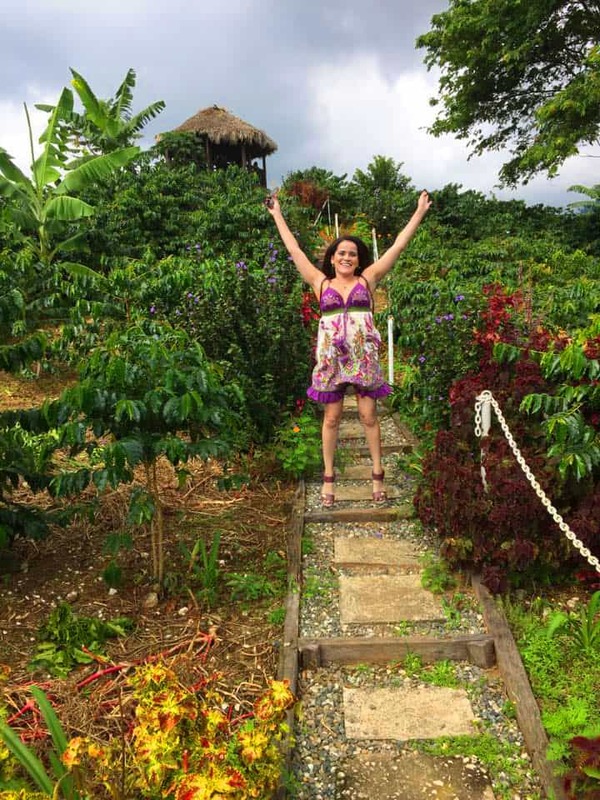 This bucket list item is a must do for coffee-lovers and it is one of the best places to visit in Jamaica! 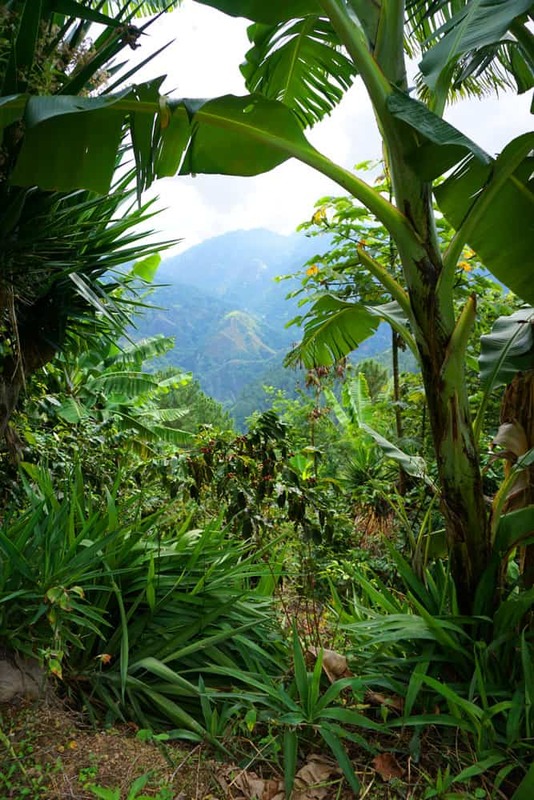 The Blue Mountains provide the ultimate coffee growing environment since they form the longest mountain ridge along the eastern edge of Jamaica, whose peaks contain absolutely breathtaking views. 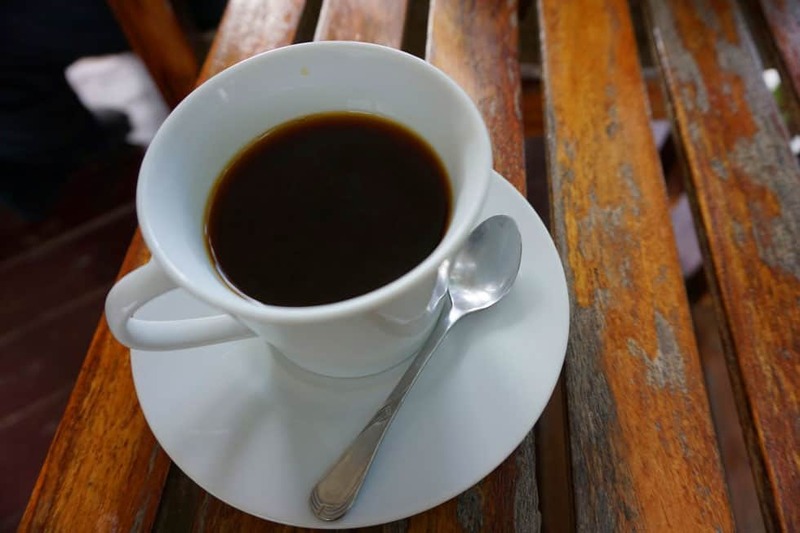 While many of us now can drink Blue Mountain at Starbucks, it is never the same as learning about how the coffee is grown and enjoying a cup while enjoying the stunning views of this paradise. While I was there, I got to visit the Craighton Coffee Estate (historic coffee farm) in the Blue Mountains and taste one of the most expensive cups of coffee in the world! The one-hour guided tour included hiking, learning the process of how the coffee is grown and harvested while enjoying the quiet atmosphere and breathtaking views! I found it to be a very spiritual and relaxing place. You can hear the birds, see the most amazing sunrises/sunsets, smell the flowers, enjoy the fresh air and hike or ride a bicycle around the paths that lead to the top of the mountain. 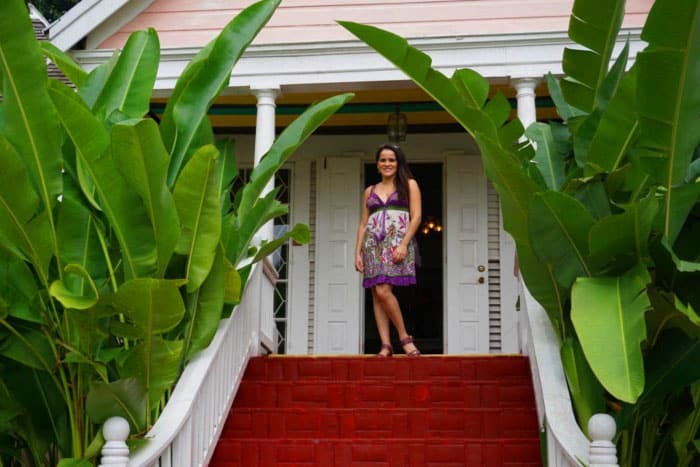 The historic plantation house was constructed in 1805 by George Craighton and has been linked to many notable figures in Jamaican history, including two governor generals. 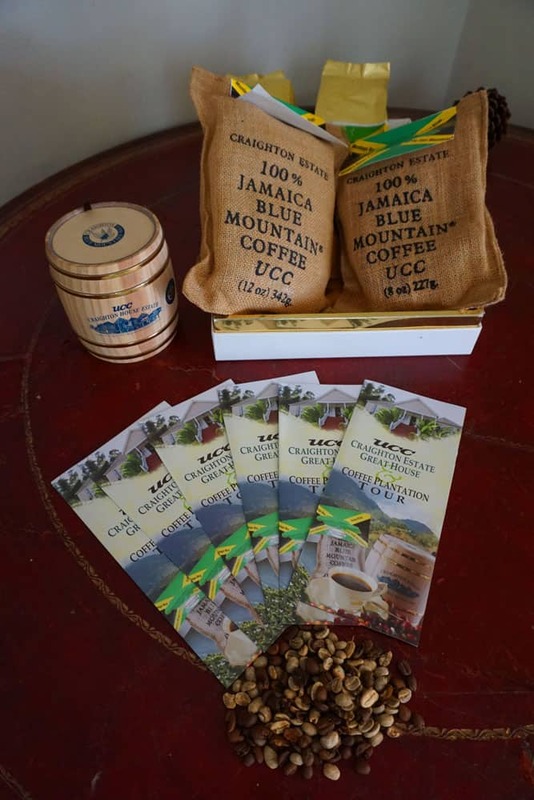 The mission of the Craighton Coffee Estate is to maintain the highest quality coffee. I was surprised to learn that their largest market is Japan but apparently, for Japanese people, drinking Blue Mountain is for their health. It is like their tea and they believe that the coffee results in a heart ‘massage.’ In fact I learned that Blue Mountain Coffee contains more antioxidants than most fruits (cranberry being the closest one). Note: The Blue Mountains are often a few degrees cooler, so be sure to bring a lightweight sweater or jacket. After coffee, the next stop is to explore Jamaica’s rum tradition in the heart of Kingston. 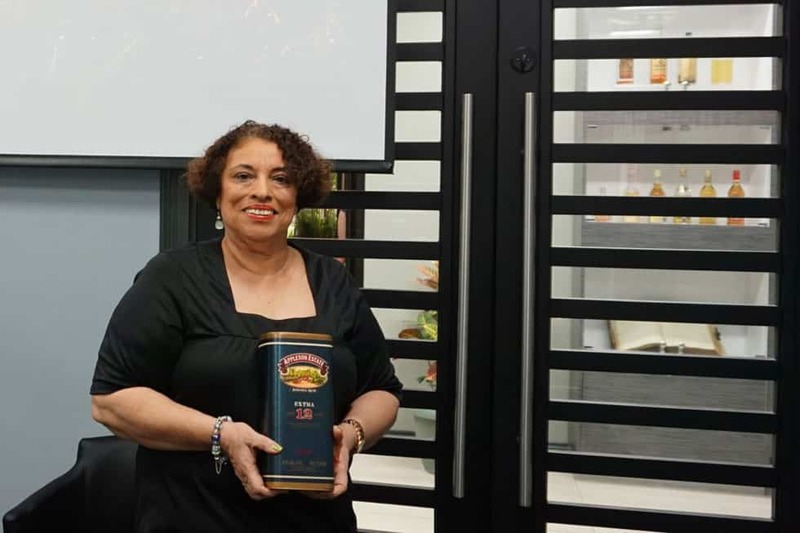 The highlight was having an official rum tasting where we were all able to sample rum blended by the first female Master Rum Blender in the world, Joy Spence. 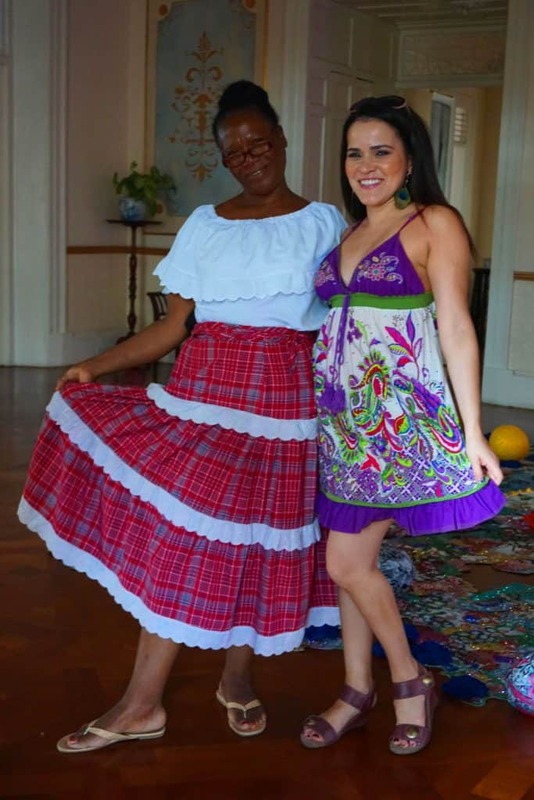 She received this title in 1997, then several years later a second female master blender from Guatemala and the third one from Scotland joined this exclusive circle. 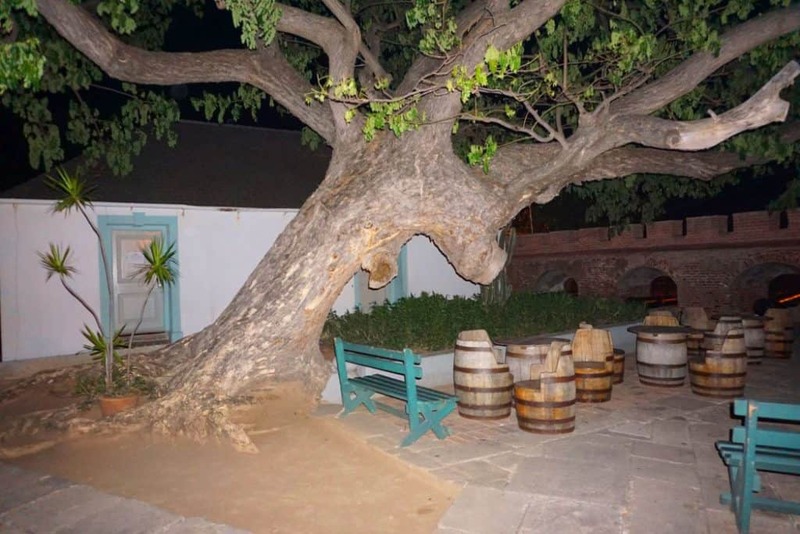 The Appleton Estate, which is located on the South Coast, is home to Jamaica’s oldest sugar factory and rum distillery where some of the best Caribbean rum is made. 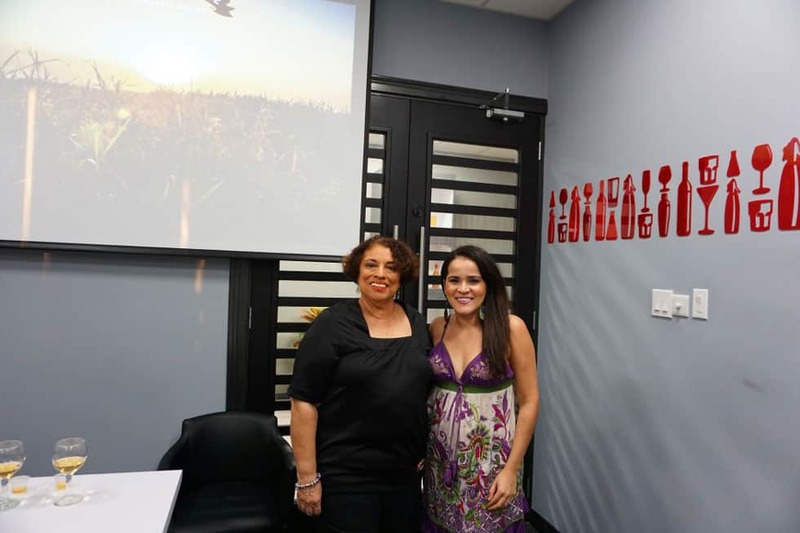 Joyce not only taught us how to blend rum, she explained the different kinds of rum. I had the most fun creating my own blend (Warning: Do not over indulge and jeopardize the completion of your Jamaica bucket list). Guided tours of the Appleton Estate take you through the history of processing sugar cane and the production of rum. After learning a little of their history, the tour takes you through the modern factory, where this Jamaican rum is produced and bottled. 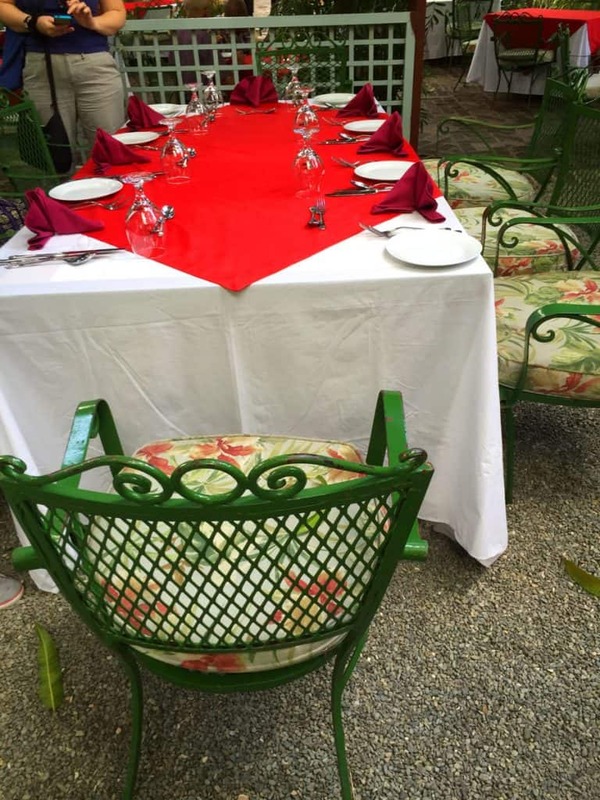 You can then finish up at the estate’s restaurant, which serves authentic Jamaican cuisine. Port Royal is a city located at the end of the Palisadoes at the mouth of the Kingston Harbour, in southeastern Jamaica. Founded in 1518, Port Royal’s proximity to trade routes made it a haven for pirates like Blackbeard and Calico Jack in the 17th century. 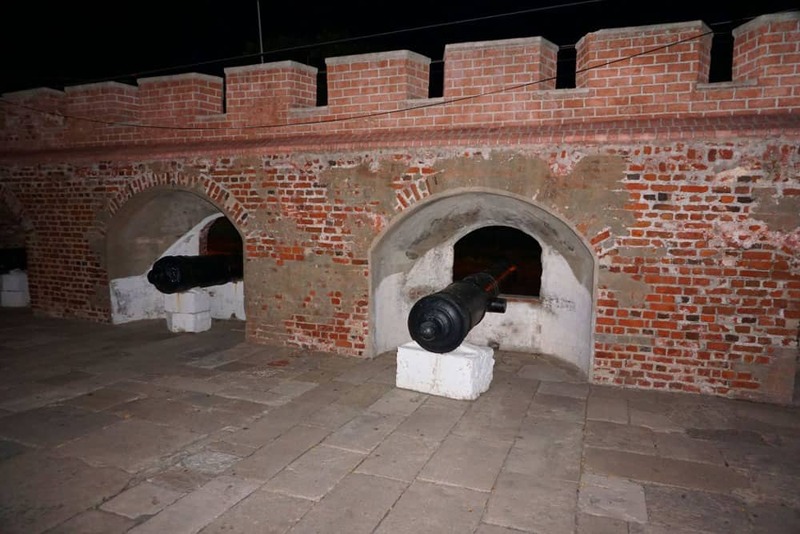 There is a tour offered to learn about the history of Fort Charles in Port Royal. 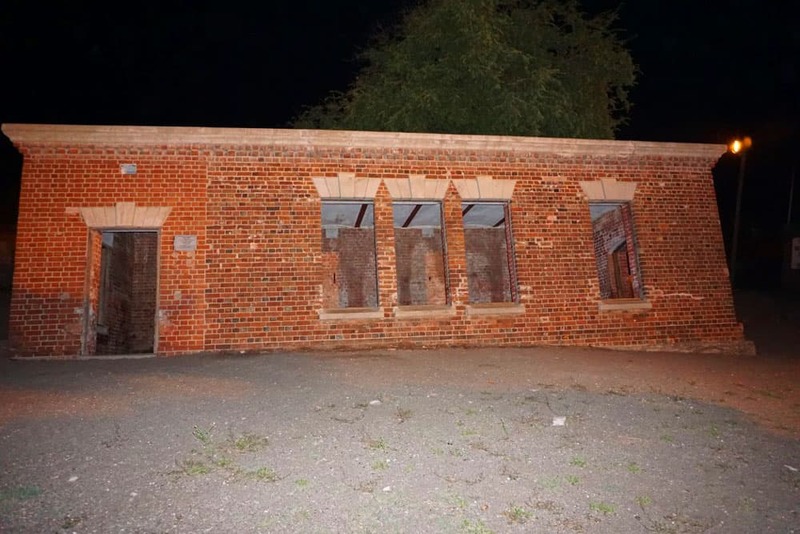 If you like architecture, this brick constructed fort is worth a visit. The guided tour of the Ft. Charles’ museum, consists of displayed relics housed in two small rooms on the site and a walk-through of its outlying structures, including the Giddy House, which is a fun experience, even for grown-ups…don’t leave without testing the amazing effect of walking on the Giddy House’s sloping floor! Aided by the informative narration of the guide, who describes the various artifacts exhibited within – reclaimed through underwater archaeological expeditions from the old city, which was submerged in the Caribbean Sea by an earthquake in 1692 – we were provided with an entertaining, educational history lesson. This Port survived a severe earthquake which occurred in 1907. It is a very interesting place with a rich, local history. Note: Be careful while you walk around, since there are lots of cracks on the floor due to weather and everything else that has occurred there over the years. 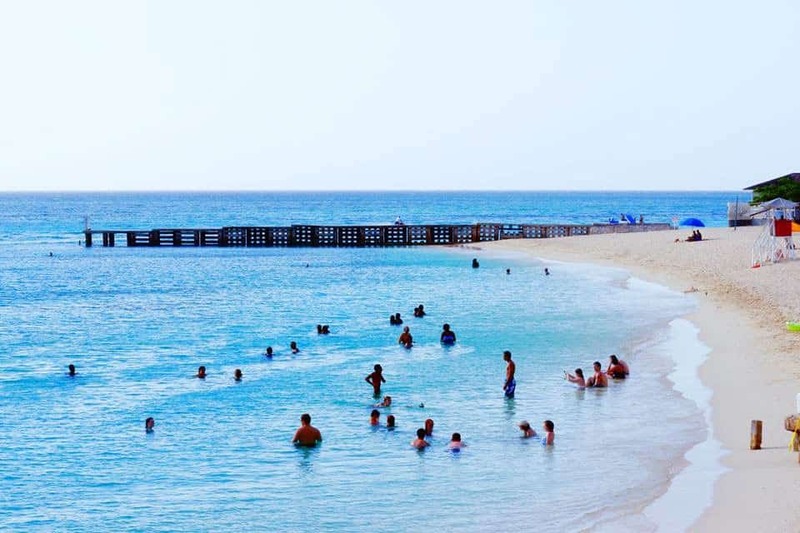 At present, Port Royal is a tranquil little town, where fishing and limited tourism are its main foci. Although it is not exactly how it was in its days of infamy, you’ll find vestiges of its past still evident. It also serves as the headquarters of the Jamaica Defense Force’s Coast Guard. 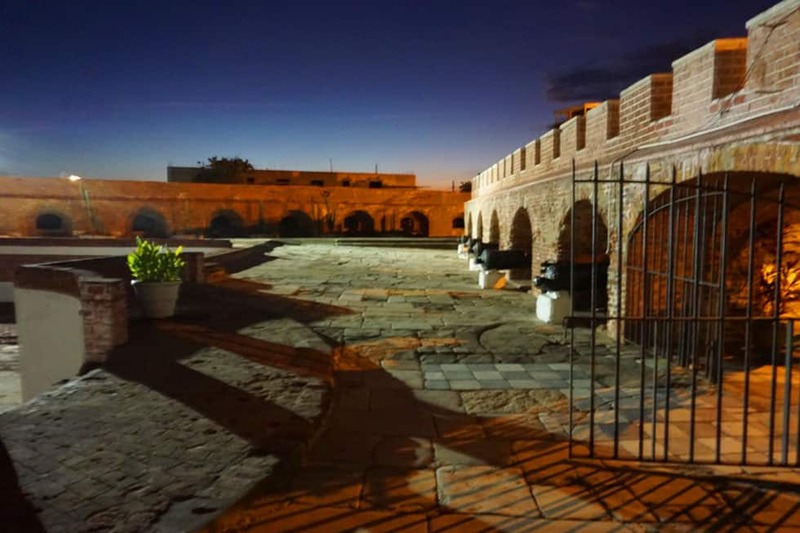 If you enjoy history, you will love Port Royal! On the day that we visited, our guide did an outstanding job of painting a vivid picture of the lifestyle of its residents in the past. He delivered his presentation in a natural, easy-going manner, and was an engaging story-teller. I recommend that you arrive early, since they close at 4:45pm. However, my tour group leader made a special arrangement and we got a private, evening tour which made it feel all the more adventurous since it was dark and we had to walk around with lanterns. The days and hours of operation are: Sunday to Saturday from 9:00am to 4:45pm. After the tour, you can enjoy excellent seafood at Gloria’s Spot. I would recommend venturing there to sample the best fish in town. Located on a second floor, its decor (a little on the rustic side) makes you feel almost like you are visiting someone’s home rather than a restaurant. Along with the amazing seafood, Gloria’s Spot sports a beautiful view of the water and ships harbored in Port Royal. What I appreciated the most was the attentive, warm and approachable staff. Everyone is so laid-back that their relaxing vibe is easily embodied. The result is an all-around comfortable, stress-free atmosphere (polar opposite to my life in New York City). For those of us whose bucket lists include experiences for the more adventurous souls, this city is not to be missed! It’s a nice drive from Kingston to Ocho Rios, a city where you can find many fun and exciting activities to do. The name means eight rivers in Spanish but, as I discovered, there are not eight rivers but many more water falls – one more breathtaking than the next – so I forgive the Spaniards for the misnaming of this city. 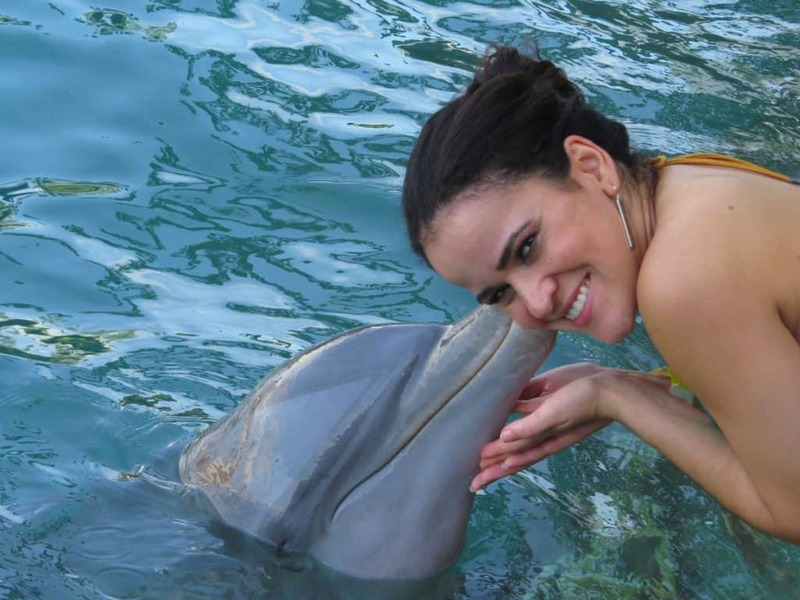 One bucket list item that I couldn’t wait to check off was swimming with the Dolphins. Ironically, on my last trip to Riviera Maya, Mexico, I did just that. But, as I always say, some adventures warrant repeating! Dolphin Cove is a marine park which allows visitors to swim with dolphins and other marine life, in their natural environment. Have the experience of a lifetime as you get up close and personal with these beautiful, amazing animals. Included are mini-boat rides, glass-bottom kayaking, snorkeling with stingrays, watching Shark Shows and even includes private beach access. When I initially walked in, I felt like an expert based on my prior experience, so I chose the ultimate swim which includes the famous “foot push” with two dolphins (they lift you by the soles of your feet, above the surface, while you hold on to their dorsal fins speeding through the water). I should mention that I don’t know how to swim very well. Unfortunately, this dolphin adventure is a little different than Mexico since it didn’t include as much staff support or assistance. It’s still an exhilarating experience that I strongly recommend for strong swimmers. The Dolphin Cover is open 7 days a week from 8:30am to 5:30pm. Prices vary by activity. One of Jamaica’s biggest attractions is the Dunn’s River Falls, located in Ocho Rios. It is a very touristic area, where cruise ships stop regularly and every type of excursion is available for the taking. The actual Falls Guides take you along the travertine rock route of this 600-foot climb to the top, where you can view the waterfall as it flows into the sea. The whole experience might take about an hour. Make sure to bring a waterproof camera to document your fun in the water! Even the views are breathtaking and not to be missed. The Spaniards called the area “Las Chorreras”, the waterfalls or springs, and it is truly one of the most beautiful spots on the island. The entrance fee is USD 20 for adults and children USD 12. The regular opening hours are 8:30am to 4:00pm and cruise ship days: 7:00am to 4:00pm. 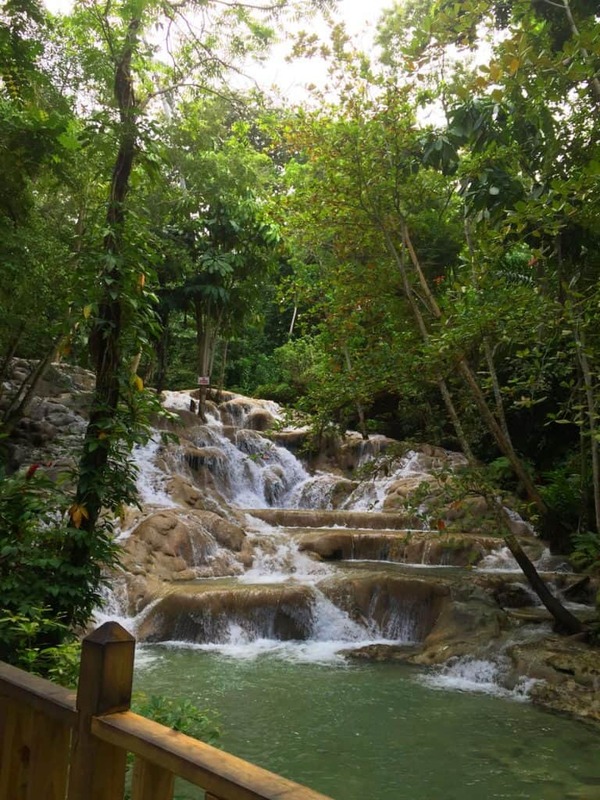 Historical Fact: Dunn’s River Falls has a very fascinating history. It is said to be the location of the legendary battle of “Las Chorreras”. This battle was fought in the year 1657 and took place near Dunn’s River Falls. It was between the English versus the Spanish Expeditionary Force from Cuba. The battle was in fact for ownership of the island. Luckily for us the outcome of the battle was obviously the English. Bobsledding is not just an Olympic sport. 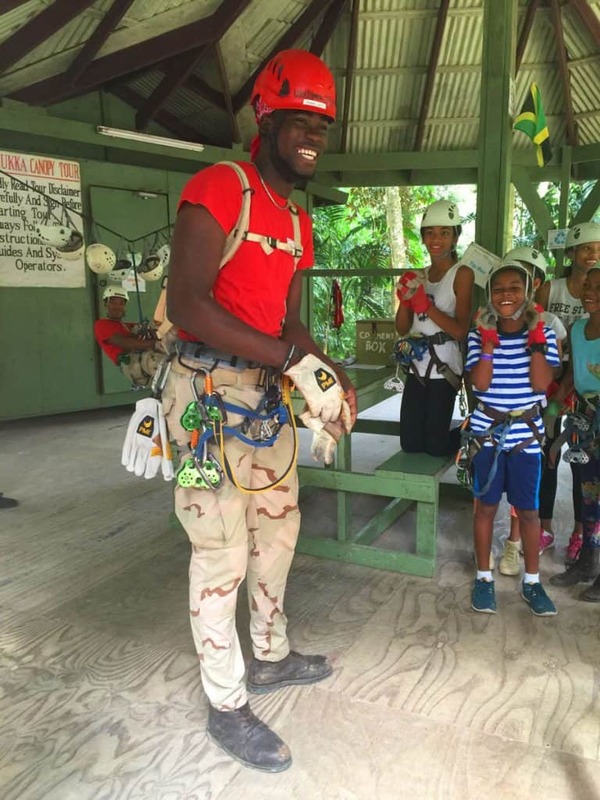 Mystic Mountain, a rainforest located in Ocho Rios, provides you with the unique experience of feeling like a part of the Jamaican bobsled team! It is described as one of the top attractions in Jamaica which was quickly added then crossed off my bucket list. 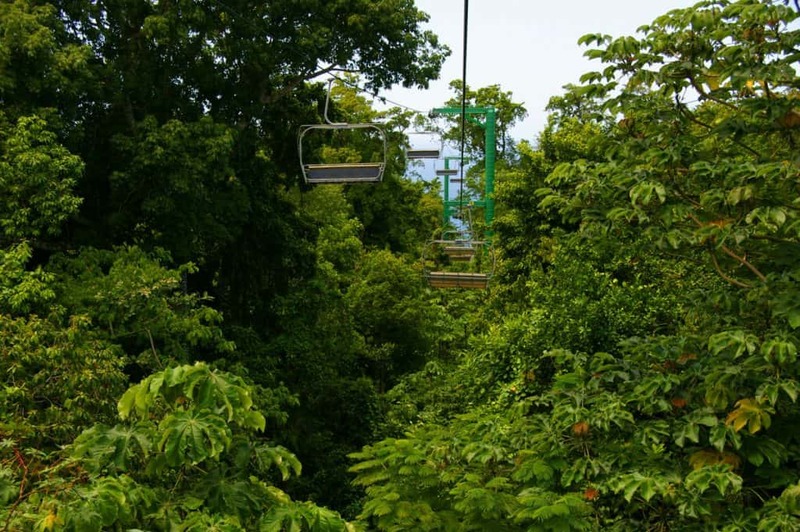 First, you get into sky explorer seats where you get to experience the views of the forest, and the Ocho Rios Bay, on your way up the mountain. 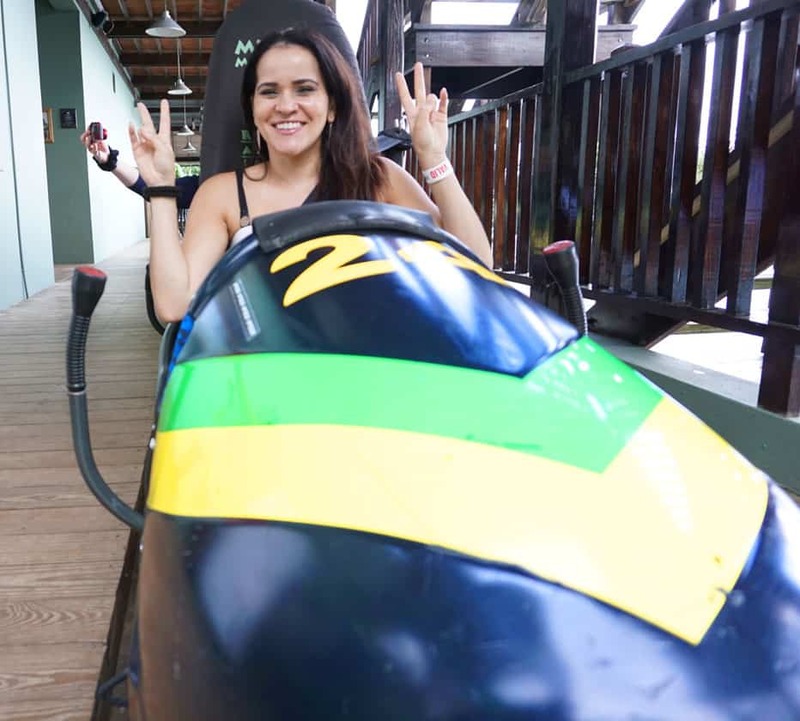 Then, once you get to the top, there are plenty of activities to choose from, the bobsled being one of them, which include fun rides filled with adrenaline and speed. Alternatives such as a waterslide and infinity edge pool, butterfly attraction, hummingbird garden and canopy ziplining are all available. Once you build up an appetite, enjoy a meal at their restaurant overlooking the bay. However, you may want to save the ziplining experience for the longest zipline in the Caribbean at Montpelier, Jamaica. Read on to learn more! Ziplining should be at the top most bucket lists! 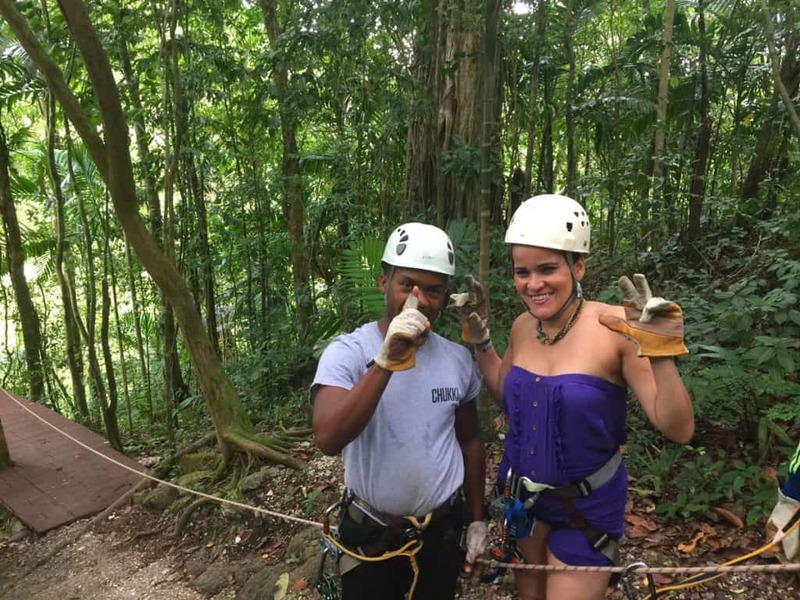 Although nowadays you can zipline in many countries, it is not every day you get to zipline on the longest one (1,065 feet long) in the Caribbean! 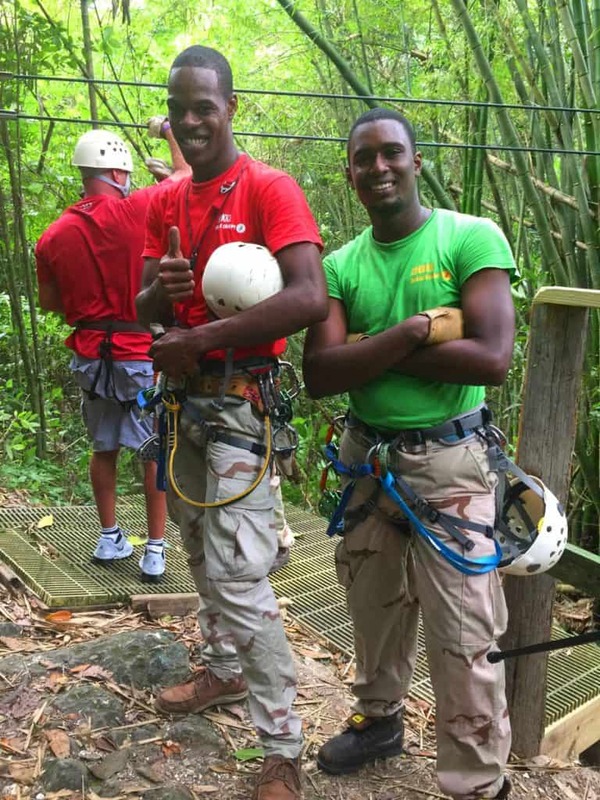 Chukka Caribbean Adventures organizes one of the better ziplining adventures in Montpelier so came highly recommended. Want a new perspective? Get a bird’s-eye view of Jamaica’s rolling hills and the Great River while riding on a zipline above the tree canopy. 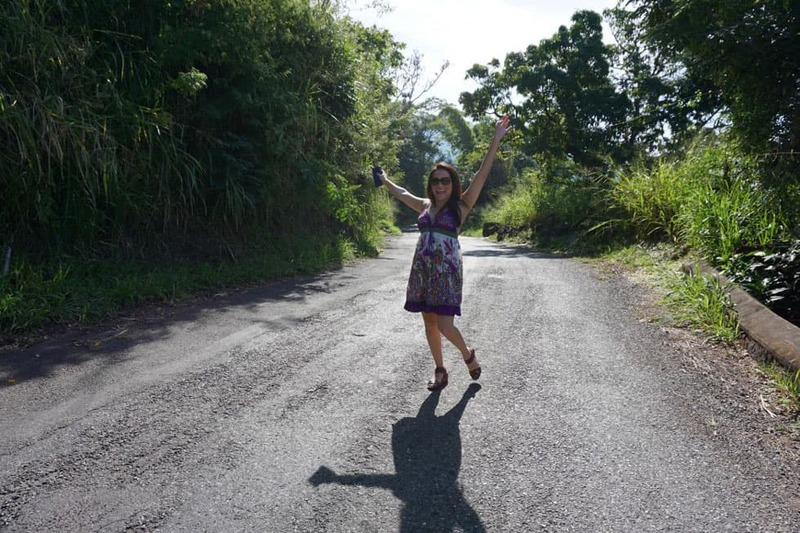 Heights range from 250 to 1,600 feet and each tour includes an off-road ride in a six-wheeler and samples of freshly-picked coconut, pineapple and sugar cane. The zipline consist of nine platforms, one of them vertical which was kind of scary, but super fun and very safe. The tour guides are super funny, friendly and very-well trained. They make you feel so safe that, at the end, you cannot even believe that you completed the whole thing. The views are stunning, so make sure to keep your eyes open! No trip to Jamaica would be complete without trying some authentic Jamaican local cuisine. 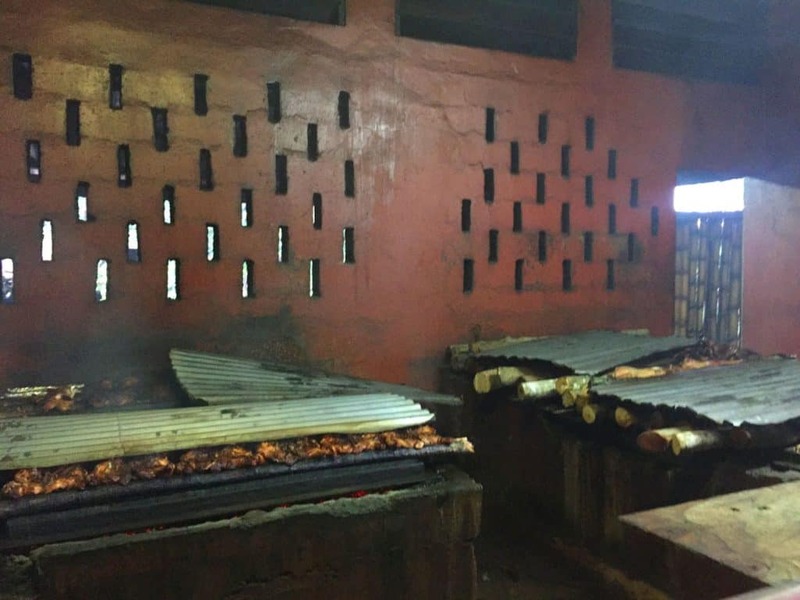 Jerk (local spices) is a Jamaican specialty, and Scotchie’s is one of the island’s most famed jerk spots. 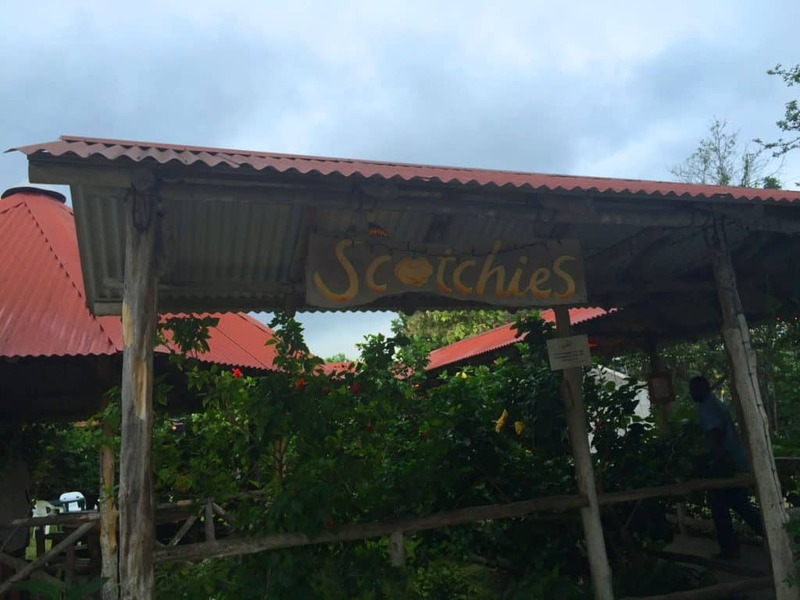 You need to sample the traditional style jerk chicken and pork at Scotchies! It is prepared for hours, on a wood grill, ensuring that the meats are juicy and never dry out during the long cook time–I can vouch that these meats are cooked to perfection! Spiced just right, you can add heat to your preference, but be warned! The hot sauce is made from the super-strong scotch bonnet pepper, a staple in Jamaican cuisine. A little pepper packs a lot of punch. It has even been featured on the U.S. Travel Channel’s “No Reservations” hosted by popular culinary personality Anthony Bourdain, filming there just a few weeks before my visit. What is truly enjoyable is the laid back environment of a very rustic, open-air restaurant environment comprised of wooden tables and benches, grass umbrelllas and beautiful amapola flowers while your food is served on aluminum foil. It is not fancy at all, but a delight that everyone should experience. The workers cut amapola flowers to give to the ladies and place in their hair (for a more exotic tropical look). Do not forget to try a side of festival, bammy and/or roasted breadfruit. Order at the hole-in the wall, then enjoy your jerk feast. It tastes absolutely delicious. You won’t find anything like it in the States! 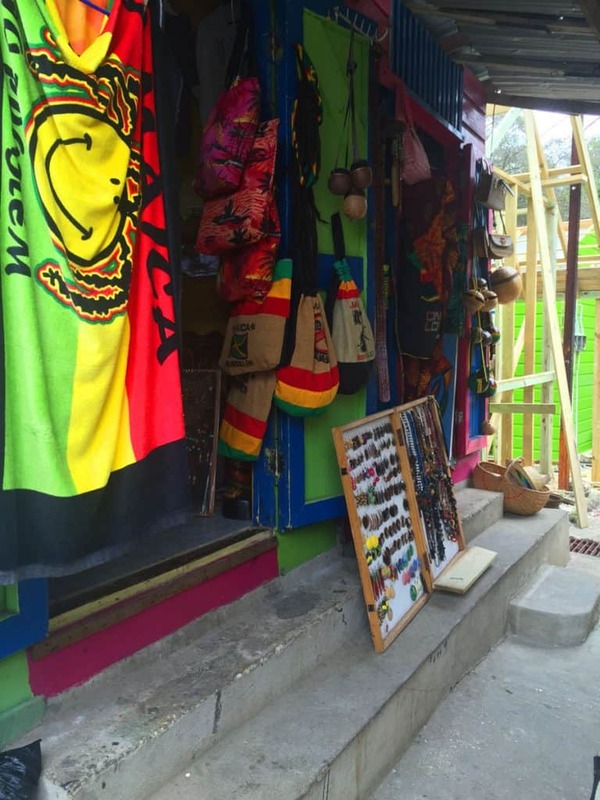 Speaking of memories, if you would like to purchase some souvenirs for your return home, tell your driver to stop at the Montego Bay Craft Market. There you will definitely find all kinds of unique items. This market has many little stores and is a great way to support local small business and families as well. It is always a good idea to visit these crowded places with a local guide and pre-arranged transportation. I can recommend a great tour group for your trip to Jamaica: See Jamaica (comeseejamaica.com) is a team with 20 years of experience that keeps you safe and comfortable during your travel adventures across Jamaica. Having made it this far into my trip without a visit to the beach is sacrilege and it would definitely leave my trip incomplete. With some of the most beautiful beaches in the world, never mind the Caribbean, available of course a leisurely day on the sand is required. The water was clear and warm as expected. Thus it was the perfect time to unwind from my adventurous and fun trip, and a good opportunity to get mentally prepared to return to the cold weather in the states (I immediately hug a palm tree after writing this). Of course it was the perfect moment to enjoy a rum punch, made with Appleton Rum, Jamaica’s number one drink. While most people come to Jamaica for the long, sunny days of soaking in the sun, on crystal clear-watered beaches, it’s critical to take advantage of all this island has to offer: Adventurous activities, cultural and historic sights and amazing food! The surprise bucket list item that our group got to experience was… Read more on an earlier post! 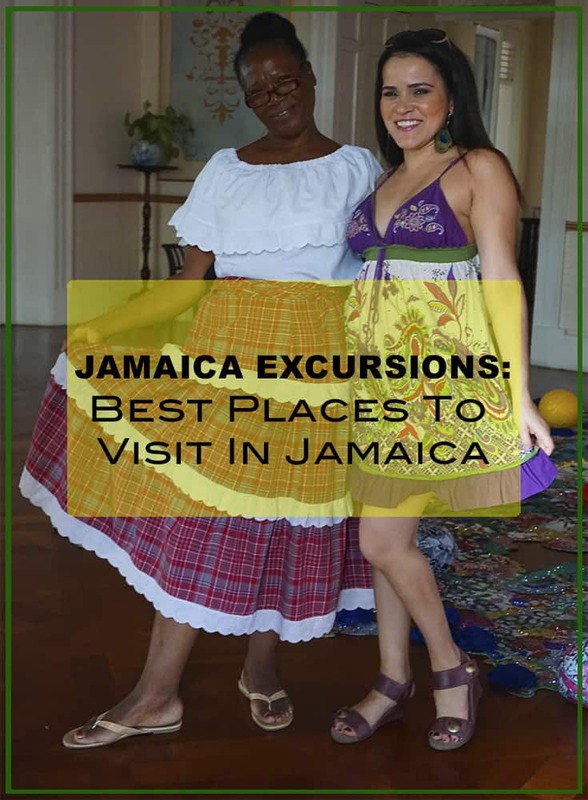 I truly hope that you enjoy my bucket list suggestions (full of the best places to visit in Jamaica + excursions & activities) and that you are already planning your own adventurous visit to Jamaica. While I checked many items off of my bucket list, I’ve added a few more that I did not get to do: Bamboo rafting down the Martha Brae River, attend a Reggae concert and horseback riding on the beach. All the more reason to start planning my return visit to Jamaica! To start your own bucket list trip, check out the Jamaica Tourism Board website which provides tons of information and suggestions for your own adventurous visit to Jamaica! Have you ever been to Jamaica? Share your experience with us in the comment section below. This post appeared first on the print issue of Vetta Magazine. Note: This trip was hosted by The Jamaican Tourist Board but all my opinions are my own. Beautiful!! And just like that Jamaic is added to my bucket list! Jamaica seems like it has lots to do and see! It’s on my bucket list! There is so much to do here, I’ve lived here all my life and am still finding new experiences to have! I never thought about going to jamaica!! But your pictures+ stories make it look like the best island ever, now it’s definitely on my bucket list!! This is a great list 🙂 Glad that so much of it is within Kingston & St. Andrew which tend to be left off many visitors’ radars compared to the beach-filled areas. Yeah! I feel those areas are underrated. I had such a fabulous experience. Thank you for reading and commenting! I am glad that is helpful.